Size: 10 x 2: 10x2 means that the tube is 10inch x 2inch, and in mm is 255mm x 55mm. Our 10 x 2 Tube is made of the strongest quality rubber and perfect fit inner Ttube for 10 x 1.90, 10 x 1.95, 10x2, 10 x 2.125, 10 x 2.25 Tires. 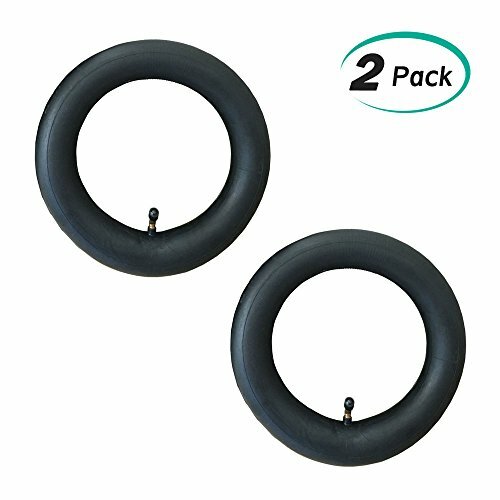 Our 10 x 2 Thorn Resistant Innertube with a Bent Angle Valve for Easy Inflation. Materal: Our 10 x 2 Tube is made of the strongest quality rubber. Perfect fit inner Ttube for 10 x 1.90, 10 x 1.95, 10x2, 10 x 2.125, 10 x 2.25 Tires. Our 10 x 2 Thorn Resistant Innertube with a Bent Angle Valve for Easy Inflation. If you have any questions about this product by Alcoon, contact us by completing and submitting the form below. If you are looking for a specif part number, please include it with your message.